Aspen is a favourite at Prestige Flowers. 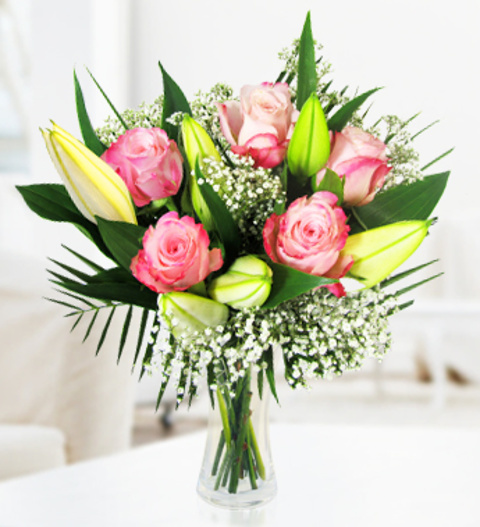 With fresh pink roses and long stemmed lilies hugged with tropical palm with a sprinkling of sweet smelling gypsophila, the arrangement is perfect for all occasions. Aspen is available for UK next day delivery and comes with a FREE box of fine Belgian chocolates. Chocolates may contain nuts.